Makes 12 servings, two topped crackers (72 g) each. Mix dressing and Miracle Whip in medium bowl until well blended. Add all remaining ingredients except nuts and crackers; mix well. 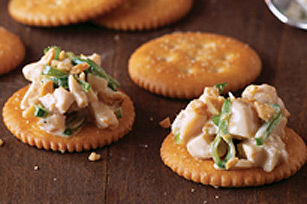 Spoon chicken mixture onto crackers just before serving; top with nuts. SubstituteSubstitute Belgian endive leaves for the crackers. 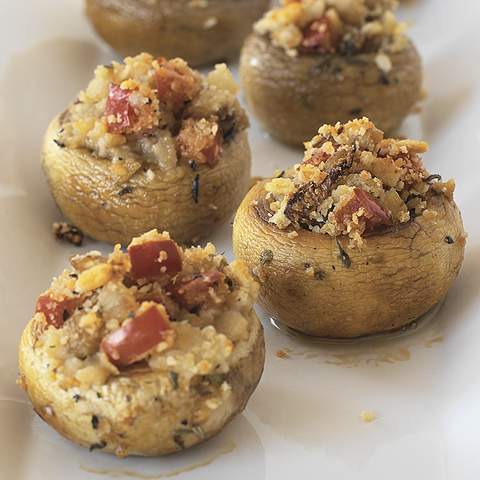 ShortcutUse a cooked rotisserie chicken from the supermarket to make the preparation of these tasty appetizers even easier! Make AheadChicken mixture can be prepared in advance. Store in tightly covered container in refrigerator up to 24 hours before using as directed. For best results, spoon onto crackers just before serving.